You turn the key which starts the chain reaction of all the functions needed to start your car, run, or the accessories to work. The battery is then used to perform these necessary functions. If you leave the car in an accessory position, or on, and not fully start the vehicle all the power applied to operate the accessories will draw power from the battery. After a period, your vehicle’s battery will wear down, and not allow the car to start. However, if your car is turned on and the engine is running the part called an alternator will recharge the battery, thereby you have constant power on demand. But how can you determine whether or not you have a bad alternator or a bad battery? Is there a way to find out without replacing one or the other or both? Are there symptoms you can check to diagnose the problem? BMW auto repair at Ryan G. Motorworks can give you a correct diagnosis if you are nervous about messing with these critical components. We will explore some of the symptoms and even go over a way to check whether or not you can place the blame on the alternator or the battery. A dying battery and a dead one will experience similar issues. However, if the battery is completely gone, nothing will turn on with the vehicle. You can insert the key, no chime will play alerting you to a door being ajar, and you won’t have anything illuminated on the dash. Perhaps the worst part of having a completely dead battery is the car won’t even try to start. If you are able to jumpstart your vehicle and it remains running after disconnecting the cables, it’s a good indication that the battery is at fault. A failing alternator can cause a dead battery, so it may not be time to replace the battery itself, without first determining which is the problem. If your vehicle starts, chances are it isn’t your battery that is the problem. Allowing your car to run and then disconnecting the positive cable from the battery terminal. If your car is still running, the alternator is fine. This means you will need to replace the battery. 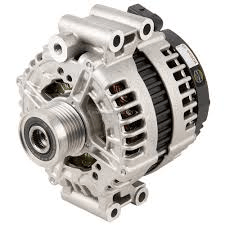 Searching for German auto repair near me, you will find that Ryan GMW can help you to replace a battery or alternator quickly, and get you back on the road. They can also help you to identify which is your problem if you have difficulty or would rather a professional handle electrical components.